Advertising vs SEO: Which Has A Better ROI? Home » Tech Bytes » Advertising vs SEO: Which Has A Better ROI? In the world of digital marketing, there’s always fierce debate about this topic. Which provides a better return on investment, advertising or SEO? Both drive traffic and boost your sales. But, they’re tricky topics to compare, as they work in very different ways. Advertising is fast, immediate, and effective. It drives real traffic instantly. But, SEO is a more subtle plartform. It takes longer, but develops a natural and organic growth. Today, we’ll look at both in more detail, and look into which is more effective as an overall strategy. Online ads are now easier to use than ever. They’re simple, fast, and powerful. Google AdWords has long been the established method of servings adverts. Firstly, you’ll bid for a click-through-rate on your chosen keywords. Then your advert will be served to thousands of specific leads through Google searches, ad placements, and even YouTube. With CPC (cost-per-click), you only pay for the people that click on your ad. This makes it very cost-effective. Pros – The plus points are that it is immediately effective. If you’ve used compelling copy and a strong image, you’ll get a flood of traffic to your site. It’s perfect if you need to boost sales fast. You can set up a landing page, and immediately start directing people towards your goal. Done correctly, and you’ll start making a return on your investment straight away. Advertising is also great for brand awareness and presence. Cons – The negative aspect is that this ad-driven traffic can disappear as quickly as it came. Ad traffic is fast, immediate, but can sometimes feel wasted. If you want your website to thrive, you need long-term, organic traffic. If you are going to use ads, make sure there is something compelling on your site that converts them into long-term customers. 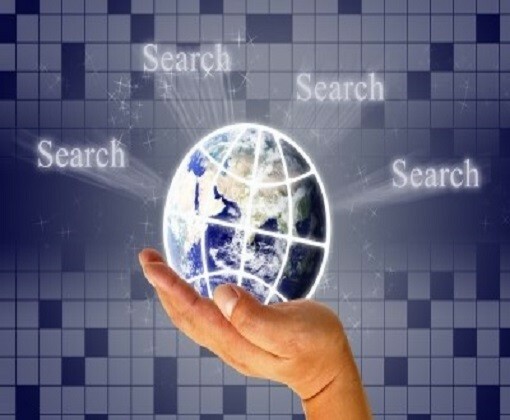 SEO, or search engine optimization, is a more long-term solution. It’s all about the tweaks and techniques that improve your Google ranking. It often takes up to three months to see the initial results. But, once it’s up and running, it keeps on driving organic traffic. The big question is this: should I use AdWords if I’m doing SEO? The answer is yes. You can run both simultaneously. But, if your budget it limited, which would you choose? Pros – SEO gives you a much more visible presence on Google. You’ll move up the rankings for your chosen keyword, which will drive thousands of targeted visitors. It’s natural and organic. Once you’re on Google’s first page, you’ll reap the rewards for years to come. It’s a long-term investment that pays back big. Cons – The major downside here is the time it takes to see results. SEO takes a while to kick in, and it’s a subtle art. If you want instant results, then SEO will simply frustrate you. But, if you’re playing the long-game (which you ought to be), then SEO will reward you. In an ideal world, you’d use both together. Harness ads for fast results, and use SEO to build that long-term growth. If you’re stuck for money, we’d choose the long-term solution.